Founded in 1871, Phoenix is the capital of the state of Arizona and sixth largest city in the US. It is a primary hub for the region’s political, cultural and economic landscapes. Populated by over 1.5 million people, Phoenix welcomes visitors year-round to explore its museums, festivals and natural surroundings. Attractions include the Grand Canyon and Heard Museum. Explore the incredible landscapes and native heritage of this rugged city with cheap flights to Phoenix! Phoenix is home to Phoenix Sky Harbor International Airport (PHX), a 10-minute drive from town. Experience the rugged and majestic cliffs peppered amongst sprawling brush and cacti, set against golden sunsets. The arid mountain ranges are interspersed with sapphire blue lakes – an oddly romantic contrast. Discover the heritage and history of this Native American land. 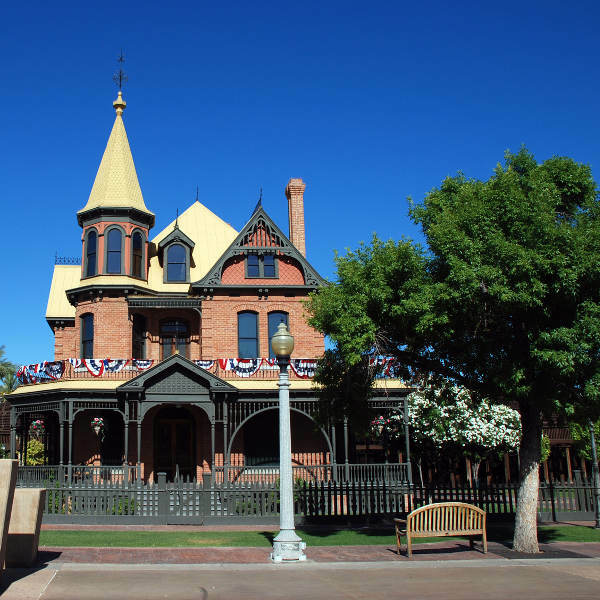 Iconic landmarks like Wrigley Mansion, Mystery Castle and Heard Museum will transport you back in time to the origins of this Southwest town. Journey along the Sonoran Desert, Sedona and Oak Canyon as you hike, cycle and kayak your way through the incredible landscapes. Explore the ancient ruins of Native Americans along the Apache Trail, winding its way up to the Roosevelt Lake. Phoenix experiences a desert climate with hot, dry summers and pleasantly mild winters. While the rest of the US is putting on snow shoes and gearing up for a frosty winter, the people of Phoenix are sunning themselves in the toasty winter outdoors (November-April) and enjoying festivals like the Arizona State Fair and Tostitos Fiesta Bowl. If you’d rather avoid high accommodation rates, visit just before or just after winter and be sure to book accommodation a few months in advance. Summertime in Phoenix brings a sweltering, dry heat over the city, between May and October. With temperatures reaching up to 41°C in July, sun tanning and golfing may not be quite so pleasant. Ensure you wear a strong sunscreen and stay well-hydrated. As this is not a very popular time to visit, many resorts and hotels offer unbelievable discounts and package deals. In the heart of the Sonoran Desert, Phoenix is aptly named the “Valley of the Sun”. The breath-taking desert vistas, fringed by distant mountains, are stark and beautiful. The mountains are riddled with hiking and horse trails, and cliffs just waiting to be climbed. 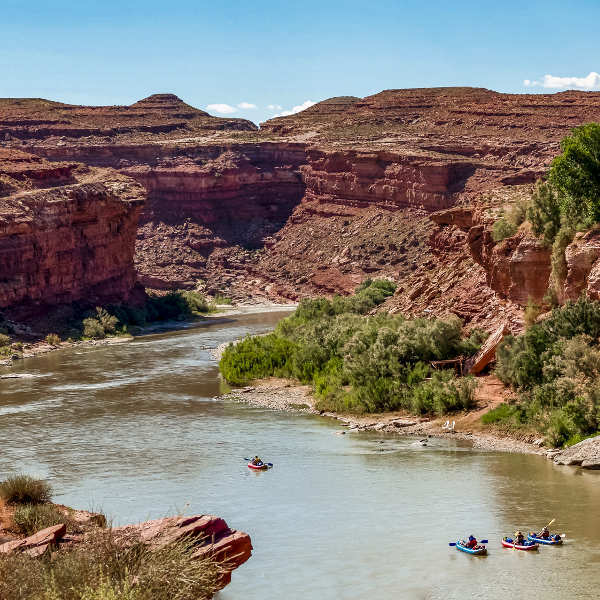 Phoenix boasts incredible outdoor landscapes, where red-rock buttes and lonely cacti are punctuated with lush, green golf-courses and sunny lakes. This sun-baked jewel provides a wealth of fascinating adventures. 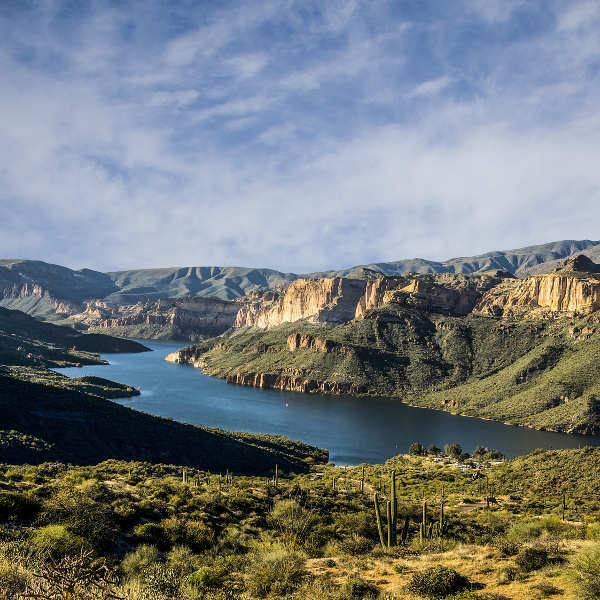 Energetic explorers will love the hiking trails in South Mountain Park and you’ll even find water sports on offer in Phoenix’s sparkling lakes and rivers. For an equally thrilling experience, try a flip over the desert in a glider or hot air balloon. The views are indescribably spectacular – a romantic display of natural beauty. Phoenix is the gateway to the Grand Canyon, so plan in a few extra days to explore this iconic landmark. The city itself features some interesting attractions, including the Heard Museum (an exhibition of Native American culture) and the Desert Botanical Garden. The Musical Instrument Museum is a unique experience, while the Heritage and Science Park provides a glimpse into the city’s history from 1895! For some rare souvenirs, scorpion bolo ties and cactus candy are true Arizonian novelties. Compare several airlines, and book your cheap flights to Phoenix online at Travelstart! Like any other major American city, Phoenix has its fair share of crime and the usual vigilance should be exercised. By day, it is perfectly safe to walk around and explore the diverse neighbourhoods but, as night sets in, certain areas are best avoided. Be especially careful around South Phoenix, Maryvale and Guadalupe. Car theft is fairly common, so always ensure your vehicle is locked with valuables out of sight. Exercise caution when driving on the freeways, as some stretches are notorious for speeding and aggressive driving. Aside from being up-to-date with regular vaccines, other immunisations are not necessary for travel to Arizona. However, coccidioidomycosis (valley fever) is endemic to the region. It is a dust-dwelling fungus, occurring during sand storms, causing infection when inhaled. Flu-like symptoms may occur and are treatable.